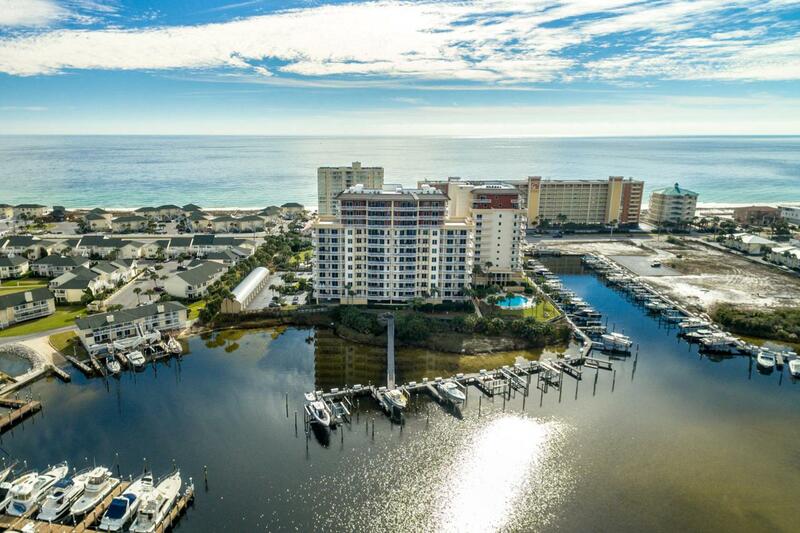 Harbor Landing 902A is THE penthouse condo for beach lovers and boaters alike with beautiful expansive gulf and harbor views plus a large detached garage and much coveted deep water private boat slip. 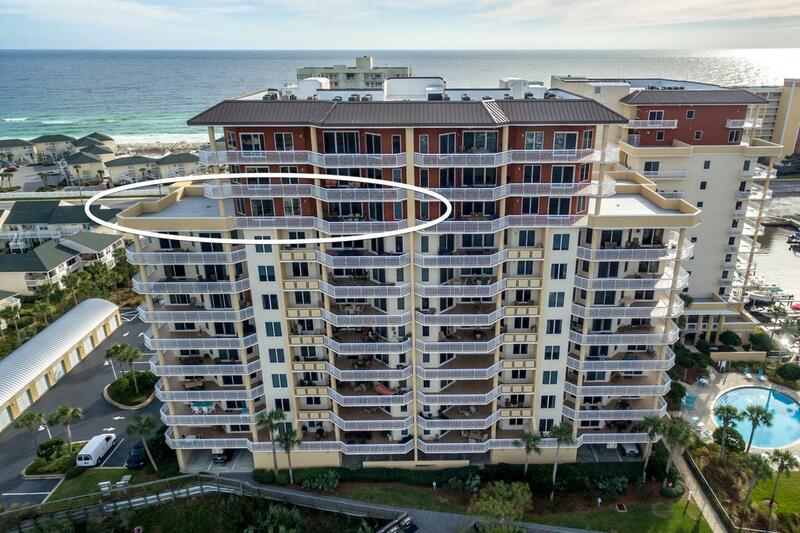 This 9th floor condo offers the best of what Destin and the Emerald Coast have to offer with direct access to boating in the harbor and beach access a quick walk away. You can do it all without ever getting in a car! The condo impresses all who enter with a wide entry way leading to a huge great room lined with windows overlooking the harbor. The well equipped kitchen is an entertainer's dream with a large island, granite counters and stainless steel appliances. The two master suites both overlook the harbor and are positioned on opposite sides of the unit providing maximum privacy for guestsThe covered balcony runs the length of the unit and opens out onto a huge uncovered patio that is perfect for stargazing and cocktails on summer nights or soaking up the sun on sunny days. Two additional bedrooms with attached bathrooms provide ample sleeping space for guests. A nice sized pantry/washroom is just off the kitchen adding storage not found in many condos. Glance down from the balcony and you see the private boat slip included with the condo. You can be on your boat cruising the harbor or heading to Crab Island in minutes. The large detached garage is around the corner from the boat slip and is large enough to accommodate your beach convertible plus bikes, fishing gear and beach toys. The added features of this condo package put it on a different level than many other waterfront condos. Harbor Landing also has a large lagoon style pool plus a private pool reserved only for owners. 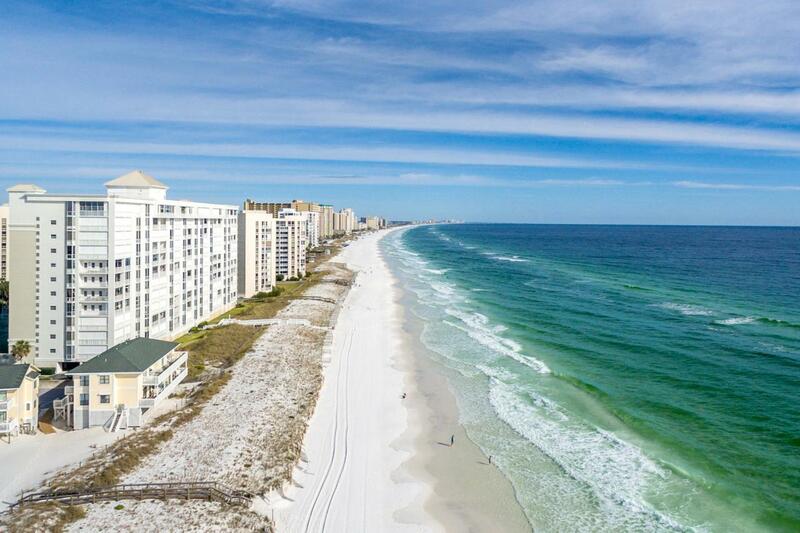 Harbor Landing allows vacation rentals so you have the option of bringing in rental income when you are away. The condo is sold fully furnished and turnkey. 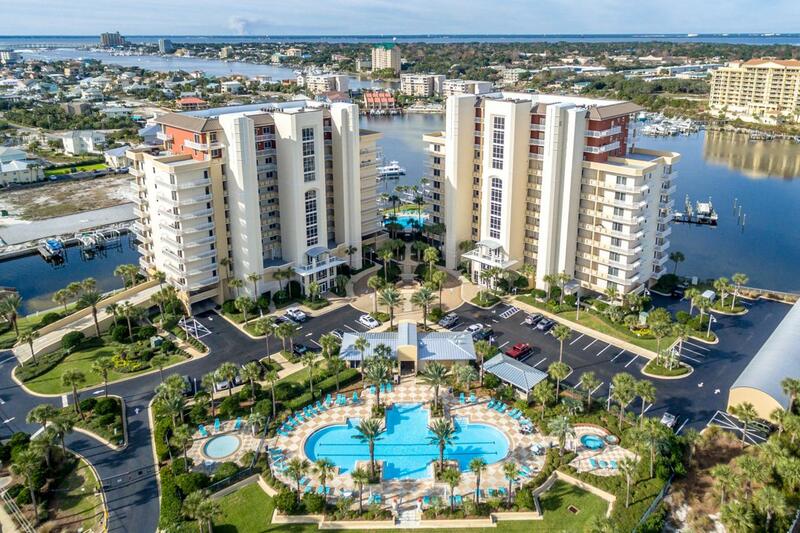 Set up a private showing of this condo and get a glimpse of what life could be like on the water.